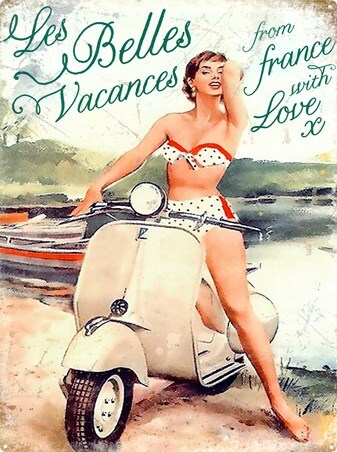 Travel Tin Sign: A brilliant vintage advert for Vespa, arguably the most stylish scooters in the motor industry. Manufactured by Piaggio, it first went into production in 1946 and has since become a cultural icon associated with style and recreation. The image intimates that the experience of riding a Vespa is very much like being on vacation and the backdrop is that of a lakeside with a boat moored against the shore. 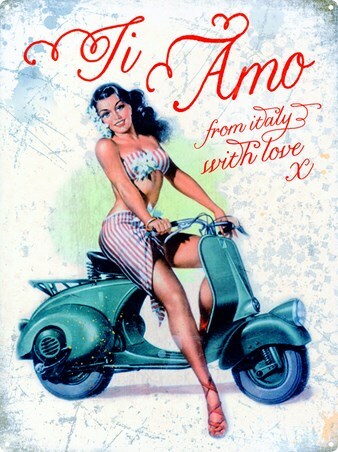 The lady rider is wearing a polka-dot bikini, looking happy and carefree, clearly enjoying the experience. 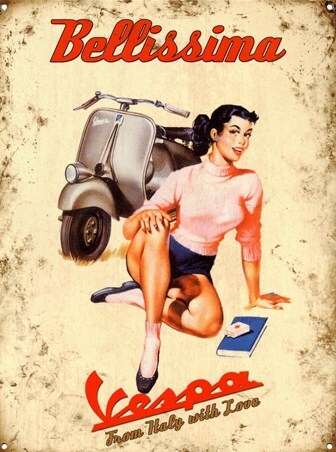 For all fans of Vespas this tin sign will make a great accessory in your home and it's a must have for anyone who collects vintage advertising posters for vehicles. 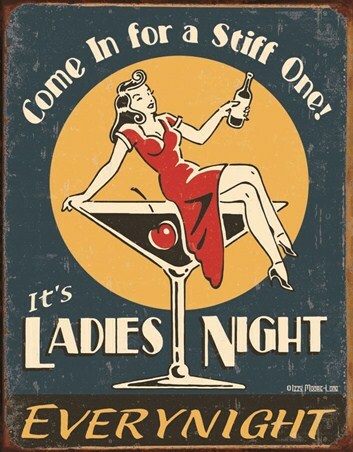 High quality, framed Les Belle Vacances, Vespa tin sign with a bespoke frame by our custom framing service.